Welcome to the April 2019 We Create IN COLOR 2017-2019 Blog Hop!!! This month we are creating projects with the 2017-2019 In Colors! 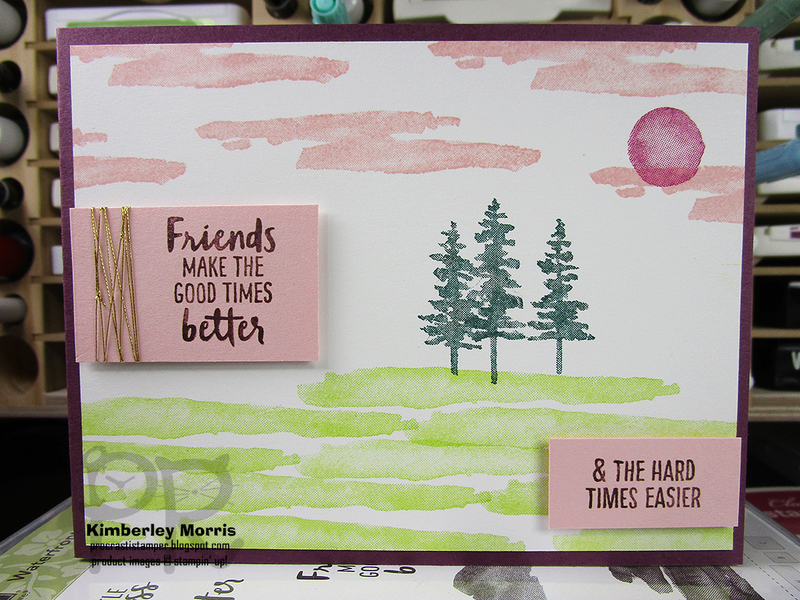 My card features the Waterfront stamp set, which was inspired by Million-Dollar Sales Acheiver Connie Heisey. I'm gonna be honest with you...I totally forgot about this blog hop until I was almost ready to go to bed. 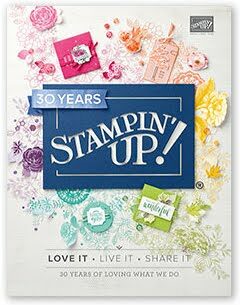 It's a good thing the Waterfront stamp set is so easy to use, and the 2017-2019 In Colors work so well together! Oh, and this card has a side fold (on the left side), because I already had a card base cut that way...how lazy am I?? 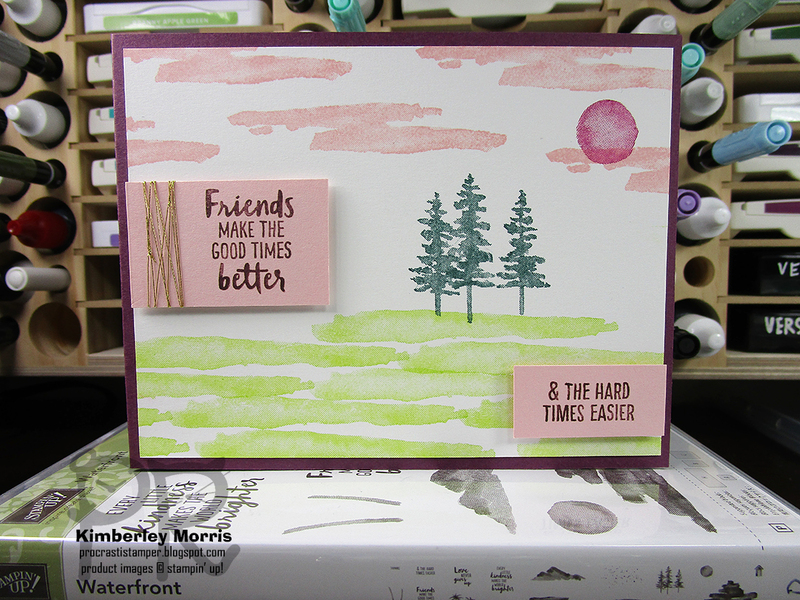 The sentiment is Fresh Fig ink, stamped on Powder Pink Cardstock. I added just a touch of Gold Metallic Thread, then popped it up on Stampin' Dimensionals. 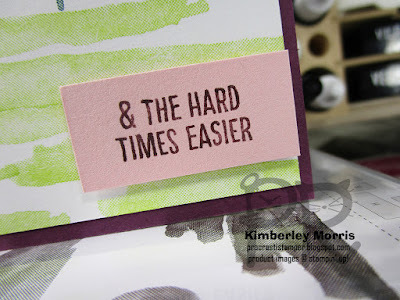 The second part of the sentiment is also Fresh Fig ink, stamped on Powder Pink Cardstock. 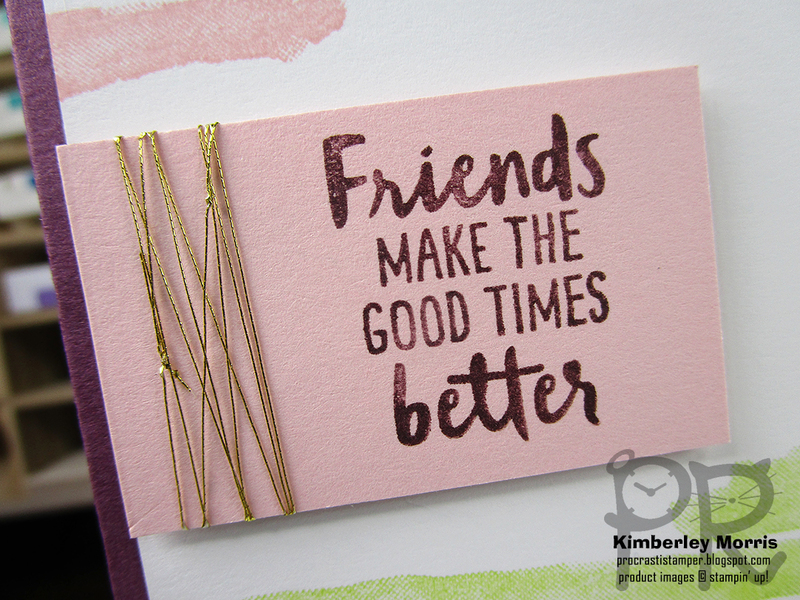 It is also adhered to the lower card front with Stampin' Dimensionals. The grassy area is stamped in Lemon Lime Twist ink. The trees are stamped in Tranquil Tide ink. The clouds are stamped in Powder Pink, and the sun is stamped in Berry Burst ink. 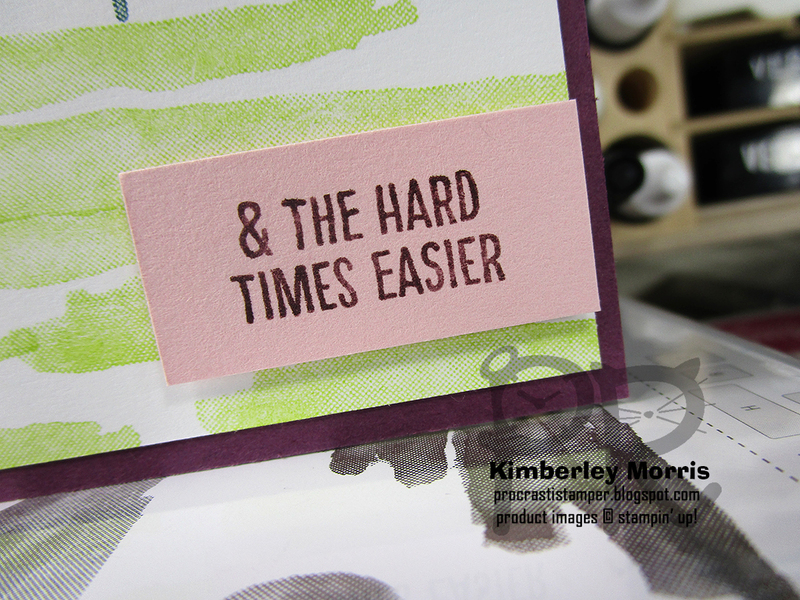 The whole Whisper White Cardstock layer was then adhered flat with SNAIL Adhesive to the Fresh Fig Cardstock base. 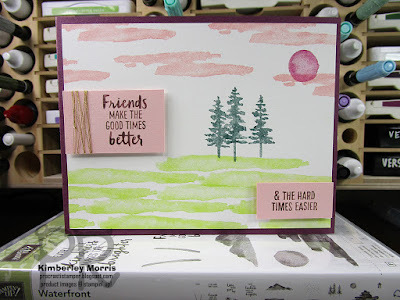 Stampin' Supplies: Waterfront stamp set, 2017-2019 In Color Ink Pads (Lemon Lime Twist, Tranquil Tide, Powder Pink, Berry Burst, Fresh Fig), Whisper White Cardstock, Fresh Fig Cardstock, Powder Pink Cardstock, Gold Metallic Thread, SNAIL Adhesive, Stampin' Dimensionals, Simply Shammy (to clean stamps), Stampin' Trimmer (to cut & score card stock). Don't forget Whisper White Medium Envelopes to mail your cards!